Salons and spas are generally perceived as places for relaxation, pampering, and de-stressing. Such places are designed carefully to create that ambiance. Your effort though of creating a relaxing place for your customers can be easily tampered by a busy phone system. If you’re experiencing this problem right now, it’s time to consider the services of a virtual receptionist. This is one of the biggest advantages of contracting the services of a virtual receptionist. Whether it’s scheduling appointments or providing customer service, a virtual receptionist can do it professionally. Virtual receptionists who are trained specifically in this industry are expected to remember and handle effortlessly the salon/spa’s marketing promotions. If you contract answering services from a reputable company, you can expect your virtual receptionist to be adept at communicating to your customers the associated policies of such promotions. They know how to positively offer alternative solutions to your customers if such promotions do not apply to them. This can be a huge help in your business. The less time you spend in dealing with it, the more time you have in serving your clients in your salon/spa. 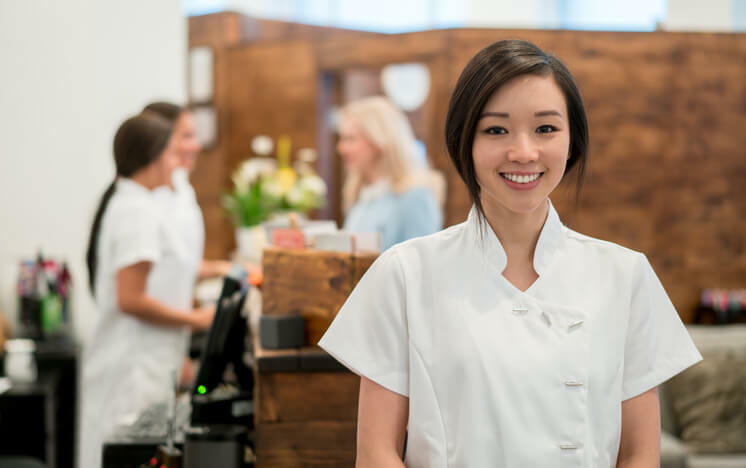 It’s often tricky for a customer to reach their massage therapist as most salons and spas are comprised of independent entrepreneurs who just rent out a space or booth. This means that when a customer wants to contact his/her massage therapist, he/she has to call the company to reach him/her for an appointment. This process isn’t just an inconvenience on the client but also on the entrepreneur as this interrupts his/her ability to service his/her clients in the spa. With a live answering service, all you need to have is a single phone number that you can advertise and the assigned virtual receptionist shall handle all of your staff’s appointment requests. Keep your salon or spa a haven for relaxation and de-stressing. Get an answering service for managing appointment requests and handling business calls. Contact One in Tucson provides answering services you can rely on 24/7. Call us to find out how we can help you.